Welcome to the Web Page of American Universal Corporation. American Universal Corporation, with warehouse and office facilities in Santa Ana and Hayward California, was found in 1974. For the past thirty years, American Universal Corporation has established itself as the largest importer and distributor of fine Japanese Porcelain Tile in the United States. Our products are available through dealers and distributors through out the country. 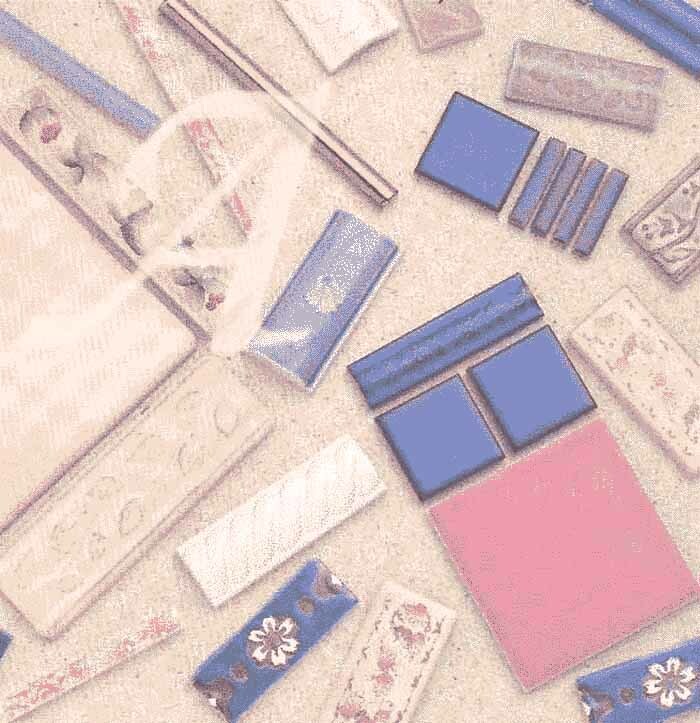 As shown in our catalog these tiles come in a large selection of colors and sizes. 1"x1" - 2"x2" - 3"x3" - 4"x4" - 4"x3" - 6"x6" -1" Penny Rounds - 1" Hex - 1 1/2" Hex and in most cases there is assorted trim available. We also have the most complete line of genuine gold glazed tiles and glass mosaic. 1"x1" - 2"x2" - 1"x1" Round corner offset - 6"x1/2" Pinstripe liners - 6"x1" Rope liners - 6"x2" Classic Chair Rail liners - 2"x3/4" Bar tile. Our tiles are specified in Residential and Commercial applications of kitchens, baths, flooring and feature walls. Some of our selections can be specified for coefficient of friction installations. For more information contact American Universal Corporation at our e-mail address.